[GIVEAWAY] To celebrate the launch of our Tiger Cica Line, we are giving away 3 FULL-SIZED cushions (worth $39.90) to YOU! Tone Up Cushion is a low irritant skin correcting cushion, that contains 100% inorganic sun block. Blemish Cover cushion is a semi matte cushion with sebum powder and a fixing polymer that helps it stay on your skin all day! Perfect for Singapore’s humid weather! Tone Up Cushion for a pure healthy look or Blemish Cover Cushion for a perfect makeup base? Tell us your pick and you might just walk away with one cushion of your choice ABSOLUTELY FREE. 2. 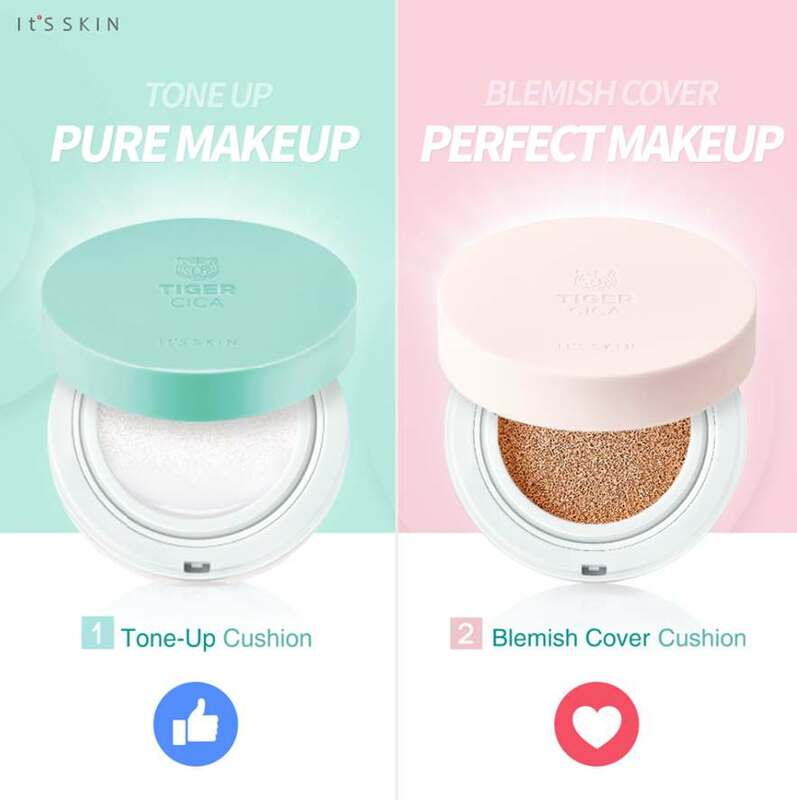 Like for Tone Up Cushion or love for Blemish Cover cushion. 3. Leave a comment to notify us that you’re done and tag 3 friends. P.s. Sharing the post and having your friends to like your comment increases your chance of winning. Find out more at IT’S SKIN Singapore.